Thank you to the moon and back for standing with us in the fight to stop jail expansion. We had an incredible turnout and met a ton of folks interested in growing this movement. 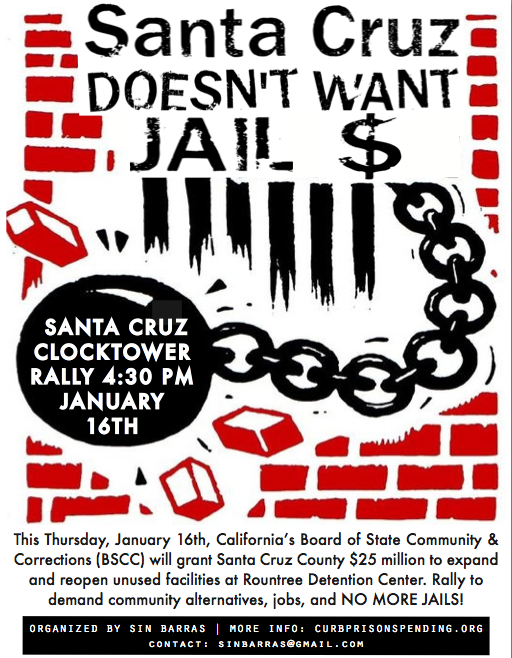 Here’s some media coverage of last week’s rally and press conference, as well as next steps Sin Barras has in mind to stop this jail in it’s tracks! * We were also headline news on KSCO 1080AM–every hour on the hour! 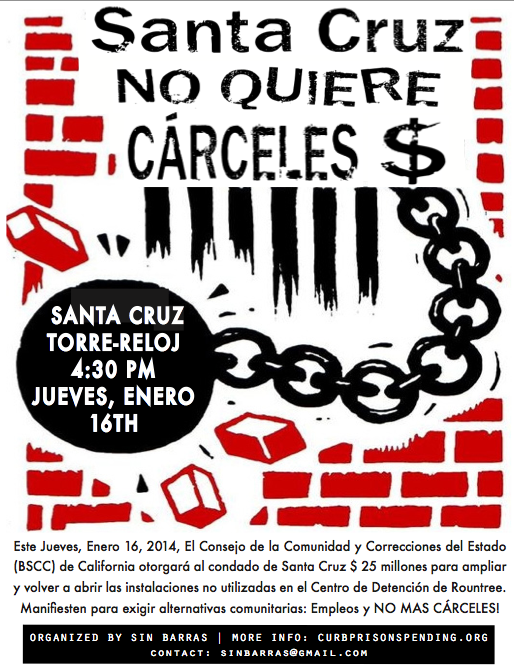 Stay tuned for our upcoming mobilization to the Santa Cruz County Board of Supervisors. The date has yet to be set, but we’ll be sure to keep you posted when we find out. We can’t thank you enough for your ongoing support, we got the power!